Once you have created a class schedule, the next step is to save it. Saving your schedule is necessary to hold your classes and indicates your intent to attend the University. To save your schedule you must make payment to the Business Office by the deadline indicated in the registration instructions. If you have sufficient financial aid and do not need to make payment to save your schedule, you must contact the Business Office by visiting Campus Connect. Go to Student Information and click on Review/Pay Account and scroll to the bottom of the page and select Save my Schedule. If you do not have sufficient financial aid or have no financial aid you must pay tuition and fees in full. Payment may be made by cash, check, MasterCard, Visa, Discover and American Express. You may pay with a credit card online via Campus Connect. 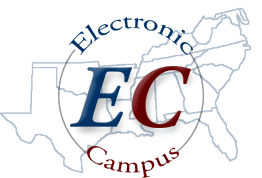 Visit Campus Connect, go to Student Information and click on Review/Pay Account and scroll to the bottom of the page for your credit card link. (A $2.00 transaction fee will apply.) You may also pay by mailing your payment to P. O. Box 9411, Magnolia, AR 71754, or in person at Overstreet Hall, Room 113. Remember, check the registration instructions for the payment deadlines. Utilize the FACTS Tuition Management payment plan option via Campus Connect. Students utilizing this option may select a deferred payment plan ($40 fee assessed) or pay in full ($2.00 fee assessed). Visit Campus Connect, go to Student Information and click on Review/Pay Account and scroll to bottom of the page for your FACTS (E-Cashier) link.